Honey-hued villages clinging to mountains towering above the sea... The villages of la Balagne have changed little over the centuries and give a glimpse of the old ways of Corsica. Village life is ideal for those looking to get away from the hustle and bustle and immerse themselves in the charm and character whilst remaining just a short drive from the larger towns and amenities as well as the beautiful beaches in the region. 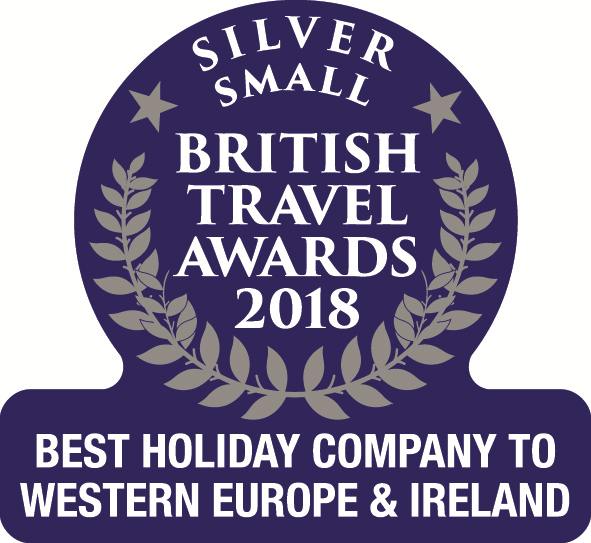 The viewpoints are truly breathtaking, with narrow cobbled streets winding around pretty churches and small local cafés with a panoramic backdrop. The fortress villages of the Haute-Balagne perched high above the sea and surrounded by terraces that produced olives, wine and figs together with plentiful citrus groves are some of the most picturesque on the island. Backed by the dramatic mountain landscapes, many of the villages are nearly a thousand years old. A recent government redevelopment programme has encouraged young people to settle in the villages and preserve the traditional practices resulting in the Strada di l’Artigiani, the Artisans route; a craft trail where you can visit workshops and buy the wares of the local artists. Calenzana is the start of the famous GR20. There are two impressive churches, an atmospheric square with a bar and two restaurants, and if you wander through the back streets you will come across L’Atelier du Village where you can buy jams, biscuits, liqueurs and cakes made from local produce. Zilia is a photogenic village surrounded by olive groves. Visit the vineyard of Alzipratu and taste their celebrated wines. Perched on a rocky pinnacle overlooking the plain across to Calvi, Montemaggiore is characterized by fountains, arcaded houses and ancient streets. 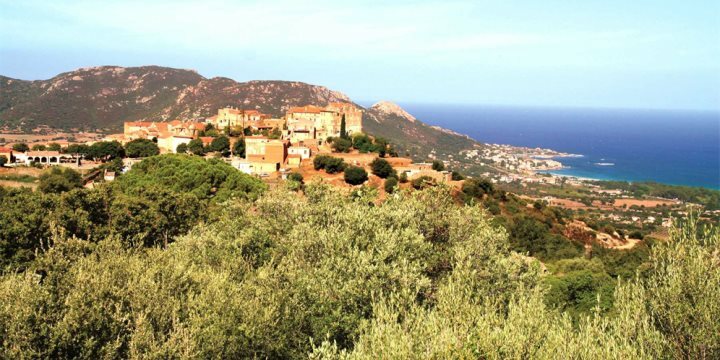 Sant’Antonino, the oldest inhabited village on Corsica, is perched on a granite hilltop. It is essentially pedestrian due to its vaulted archways and cobbled streets although the other way to explore the village is by mule - the traditional form of transport. The village affords 360° views of the surrounding countryside and coast, has several restaurants, a local produce shop and the famous ‘maison du citron’ (run by Mr Antonino), which serves excellent citron pressé. The centre of the project to redevelop village life. Pigna is a compact cluster of orange roofs and blue shutters and a good place to get a feel of the traditional culture of Corsica. There are potters, painters, music box makers, musicians and jewellery craftsmen all based here. The celebrated Casa Musicale is here and every Saturday and Tuesday during the season, Festivoce organise Corsican music concerts. There is also the recently finished oratorium which hosts many of the Corsican musicians who tour the island during July and August. The Casa Musicale also has an excellent restaurant and there is also a wonderful little organic Tapas bar whose terrace has stunning views. Monticello is the village where it is believed that Christopher Columbus' mysterious mother was born. The village has a couple of charming restaurants and sports facilities. Why not go pony trekking through the Balagne hills to discover the area’s true natural beauty. Accessible from anywhere in la Balagne, the Tartagine Forest is a fantastic area of wild countryside in Corsica’s National Park region. Escape to the mountains and sit by snow fed rivers rushing over granite boulders surrounded by pine trees. Our route takes you through Speloncato, via the old chestnut woods of the Guinssani, where you can stop at the memorable Genoese church, and admire the panoramic view of the valley. As the road is winding and narrow, the trip will take you longer than expected from the map, so either take a picnic (there are few other visitors) or visit one of the local Auberges in Olmi Cappella, Pioggiola or on the Col de Battaglia. At the very end of the Calvi airport road the Bonifatu Forest is a haven of cool and shade during the heat of the summer. There are a plethora of picnic spots, rock pools and walks of all levels. For an easy two hour circuit try the Boucle de Figajola, or for a more strenuous climb hike up to one of the GR20 refuges at Carozzu (where there is also a fantastic mountain top rock pool). During the season, the car park charges a flat fee for the whole day approx €2) which helps to finance the Office National des Forêts protection scheme. The Maison Forestière, in the car park serves drinks and has a simple menu. Le Parc de Saleccia is a must for garden lovers! The park has a wide range of Mediterranean plants and is great to explore.